Wes and Dotty, great capture. 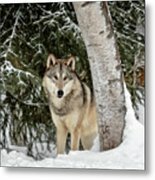 Wolves are one of my favorite canine animals. Their intelligence can be seen in their eyes and how they interact with each other is remarkable. 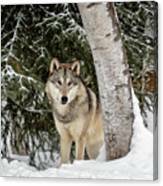 The gray wolf is found in the wilderness and remote areas of North America. 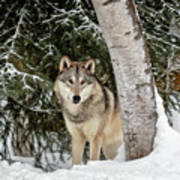 It is one ofthe largest member of its dog family, with males averaging close to 100 lbs, and females about 20 lbs less. 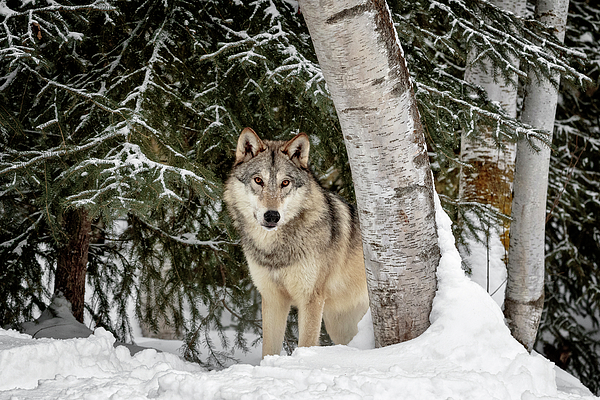 Their long legs, wide paws and thick winter coats make them very effective predators even in deep snow.